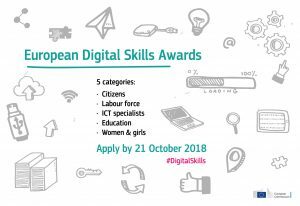 The European Commission wants to put the spotlight on projects which contribute to the development of digital skills in Europe. 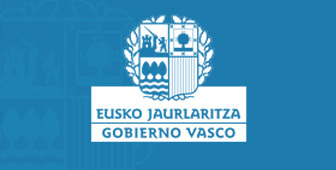 The Awards will be presented by Mariya Gabriel, European Commissioner for Digital Economy and Society on 6 December 2018. The Awards are a great opportunity for nominees to showcase their projects, as the winners and four runners up in each category will be invited to exhibit their project at the ICT 2018 conference in Vienna as a reward. The final deadline for the submission of projects is 21 October 2018. Digital skills for all – developing digital skills to enable all citizens to be active in our digital society. Digital skills for the labour force – developing digital skills for the digital economy, e.g. upskilling and reskilling workers, jobseekers; career advice and guidance. Digital skills for ICT professionals – developing high-level digital skills for ICT professionals in all industry sectors. Digital skills in education – transforming the teaching and learning of digital skills in a lifelong learning perspective, including the training of teachers. Digital skills for girls and women – taking actions to develop digital skills for women and girls.